At twenty1five our focus is simple…to constantly create the cool factor in everything we touch. 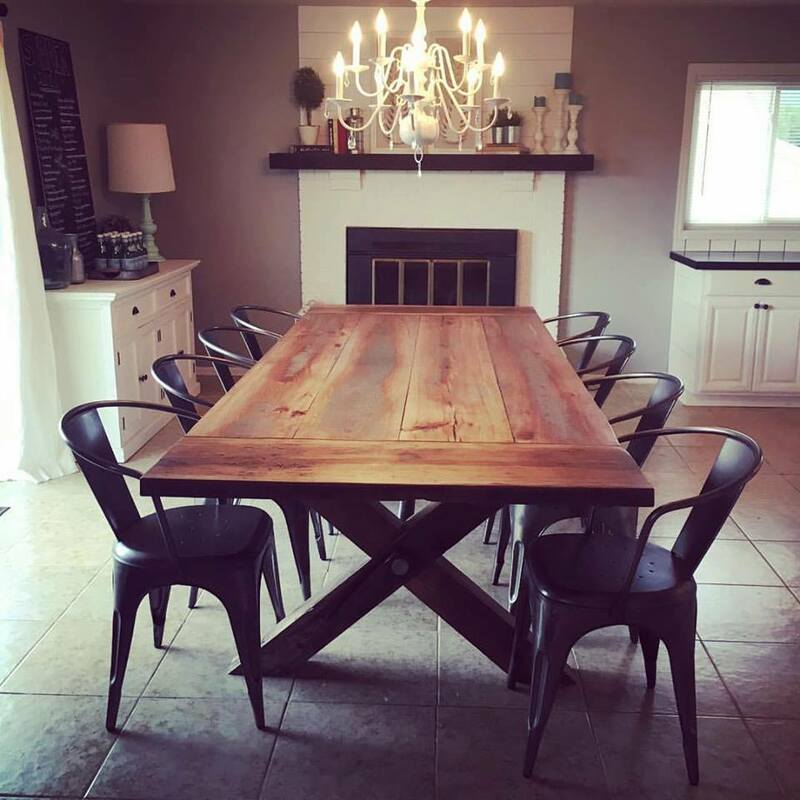 We create reclaimed dining tables, coffee tables, desks, barn doors, and benches. We can also design and install entire interior residential and commercial environments. We're a Colorado based company serving Denver, Castle Rock, and Colorado Springs. Let us create a one of a kind piece that you will enjoy for a lifetime. From barns, docks, estates and heirlooms all across america, we at t1f guarantee our reclaimed lumber is sourced responsibly and truly reclaimed. We started with reclaimed wood...and now incorporate glass inlays, concrete, and strong industrial metal hardware accents to balance strength and beauty. We know the story behind your piece. We know the story that developed as we made your piece. We are craftsmen, not mass producers. We started out years ago pioneering the use of reclaimed wood in furniture and the creative environments we've built. And now, we are providing those same materials for your own projects. We aren't just a pretty website and a broker of reclaimed wood...we actually know how to use a hammer...and we understand humble beginnings. Not only can we supply you with whatever kind of reclaimed wood you need, but we can also help teach you and train you to use some of the same tricks we've learned over the years. Our customer service is superior simply because we've used the same materials we sell. If you need reclaimed wood for a small DIY coffee table, or you're a contractor that's cladding the entire exterior of your home, we've got you covered. Our residential and commercial environments are crafted by both hand and imagination, right here in Colorado. We live life in a way to find inspiration in nature, urban areas, a sunset, the skillful simplicity of an old barn or the massive complexity of new architecture. We have worked from sunup to sundown to make sure we get it right and then we checked our work again. We’ve been recognized and complimented as being entirely original and superior, but we feel we are just beginning to uncover the potential of our best work. In our custom reclaimed wood furniture collection we blend artistry and history with our one of a kind designs. We create coffee tables, desks, barn doors, side tables, reclaimed dining tables, and benches. Let us create you a one of a kind piece that will last a lifetime. Just because you work in a space doesn't mean it can't be pleasing to you and your clients. Our ideas for your commercial property will bring a buzz to your business world. Set up an onsite consultation, and let us create a unique environment for you your employees, and your clients. Your home is a reflection of what you value. Let Twenty1Five work with you, or your designer to create a beautiful new environment. Whether you're looking for reclaimed wood barn doors, fireplace mantels, accent walls, shelving, wood countertops, beams, wine racks or even exterior ascents we have you covered. Josh Mabe is the artist and inspiration behind Twenty1Five. To him, any piece of wood can be rediscovered to fit into a beautiful work of art. Josh started building tables while he was a middle school shop teacher. Never wanting to waste, he would take the scrap wood from the students projects, and begin to incorporate them into his furniture. The reaction to his creativity was phenomenal. The rest is history. He's down to earth, but passionate about design. He and the Twenty1Five team strive to make every old piece of wood they find into something you will cherish for a lifetime. "At twenty1five we don’t just have good ideas, we push the boundary of ordinary and ask for more. More than just catchy. More than just functional, aesthetically pleasing, or sturdy. More. We always push, always dream, always strive to innovate. That's Twenty1Five. Thanks for dreaming."